This white cheddar buttermilk biscuits recipe comes together quickly, especially with the help of a food processor, for fluffy biscuits perfect for breakfast! They freeze well, and are easily baked from frozen for quick breakfasts made ahead of time. I’m on a total biscuit kick. 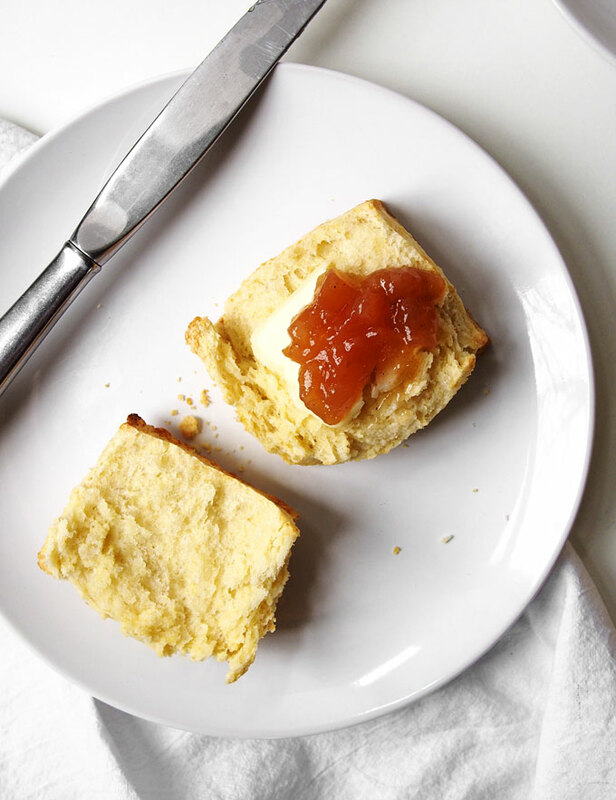 You wouldn’t know it, but I’m verging on a serious biscuit addiction — and I DIG IT. It’s great. 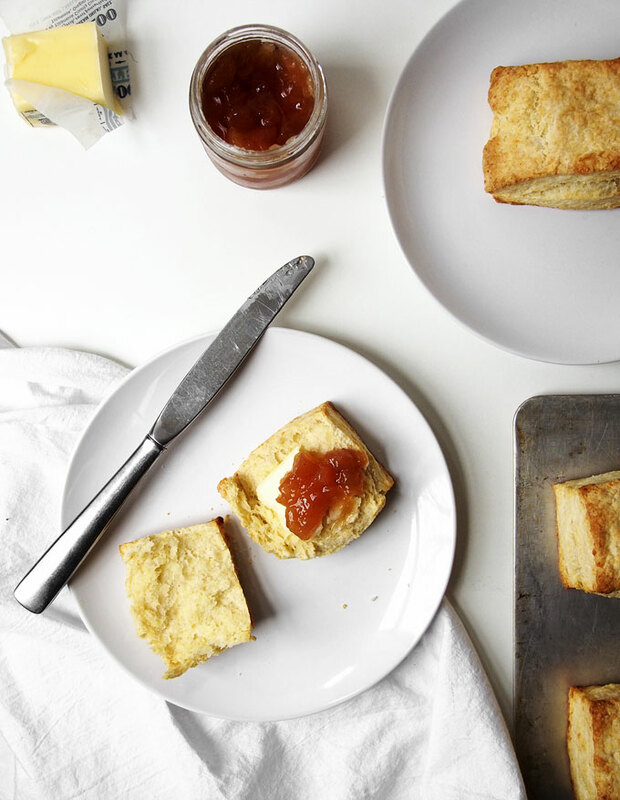 Who knew biscuits were so darn addictive? Um, pretty much the entire world besides me, apparently. Me = late to the party. Which is completely unrealistic in a real-world scenario, in which I am always 5-15 minutes early to e.v.e.r.y.t.h.i.n.g. Should we catch up for a moment? It’s been a while! How are you!? How is February going!? It’s nearly done (whaat!?)! It’s gonna be Christmas before you know it! (I’m serious. Time = warp.) I left you with some squash soup and news that I was moving into the second term of coding school. Today is the literal mid-point of said second term! WOOP! That means I half know PHP. And by half I mean a very little tiny bit. For those of you who are technically inclined, you might be thrilled to know we’re now using databases! PARTAAY! My brain feels simultaneously like a total pile of mush and the most incredible machine in existence, and sometimes just like I’m straight crazy trying to balance the two. It’s alright — I’m kind of enjoying the weird dichotomy. When I’m not at school (wait, when is that? does that exist? ), I’ve been OUT! Weekends seem to be alternating: in town, out of town, in town, out of town. Valentine’s weekend was spend with a group of friends in Bend, where “we” were hoping to ski. I say “we” because I’m coming to terms with the fact that I do not love downhill skiing, and that’s okay. It’s uncomfortable, cold, and expensive. So, I was not even a little bit disappointed when the weather was too warm for skiing — it was perfect for climbing! YAY! I’d take a huge (FREE) rock over a pile of ice ANYTIME. Anyways: ski weekend turned climbing weekend — so much fun! Valentine’s views were not too shabby! Let’s talk biscuits for a minute. 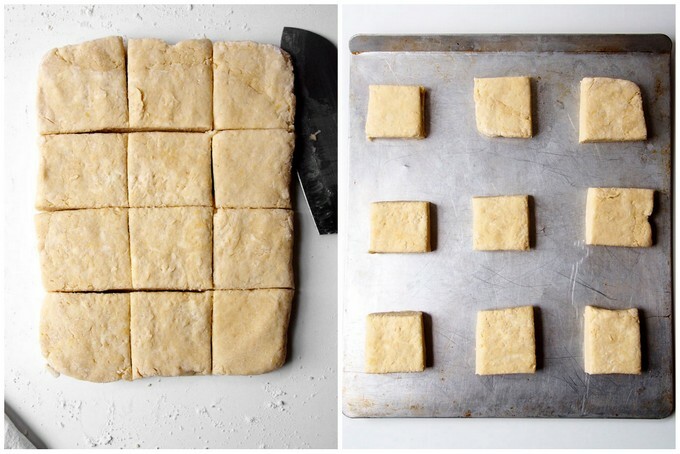 These are pretty straightforward biscuits — adapted ever so slightly from Joy The Baker. 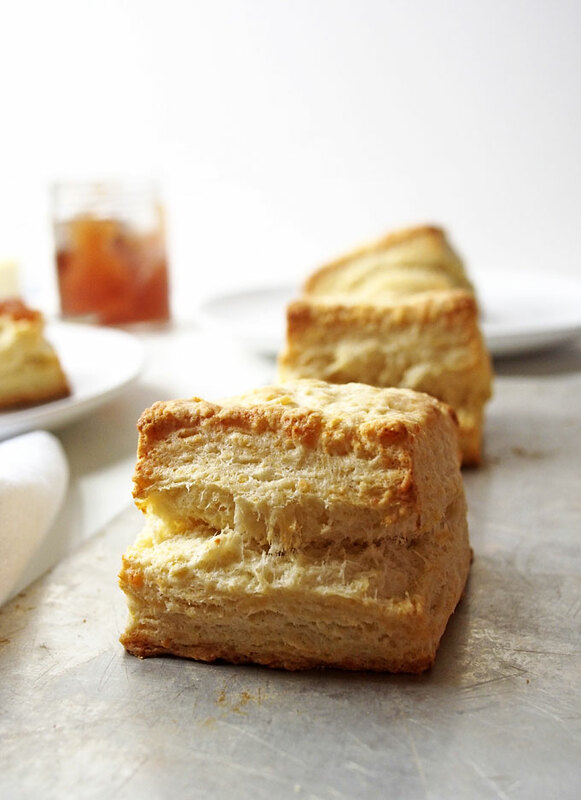 Basically, her buttermilk biscuit recipe plus some shredded CHEEESE! Obviously. Have you met me? #cheese4dayzzz. I make these in the food processor (it takes like .2 seconds fo realzies): shred the cheese, pulse the dry ingredients with the cheese, cut in butter, add wet ingredients. DONE. I mean, shape and bake… but then, DONE. So easy! I also freeze these, since I’ve been told it’s inadvisable to eat 12 biscuits by myself in one sitting. Seems like solid advice, so I’ll pass that along to you (you’re welcome). I keep these in the freezer until BREAKFAST TIME (the best time), then bake as normal! Plus a few minutes. Normal + a few. Normfew. Can you tell my brain hurts? 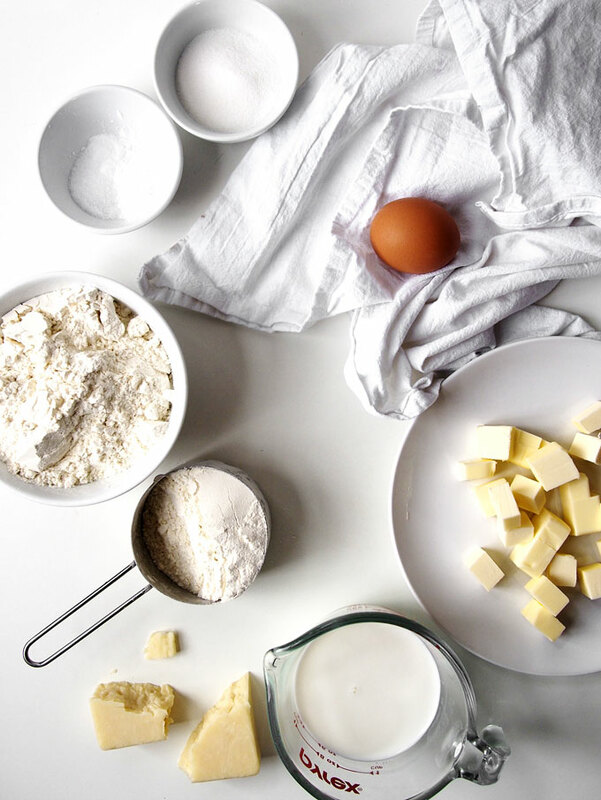 Whisk together the flour, sugar, baking powder, baking soda, and salt. Add the shredded cheese, then cut in the butter. When there are no chunks of butter larger than a pea, add the egg and buttermilk. 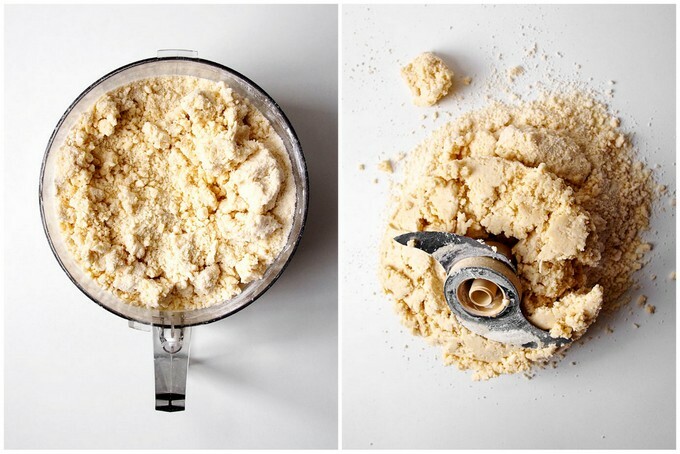 Gently mix until mostly incorporated (it’s okay to still be a bit crumbly). Turn the dough out onto the counter and use your hands to bring it together and distribute the moisture — but don’t overwork it! Shape into a 1″ tall rectangle, and cut into 12 equal pieces. Bake for 15-17 minutes, or until the tops are golden and the centers are fully cooked. 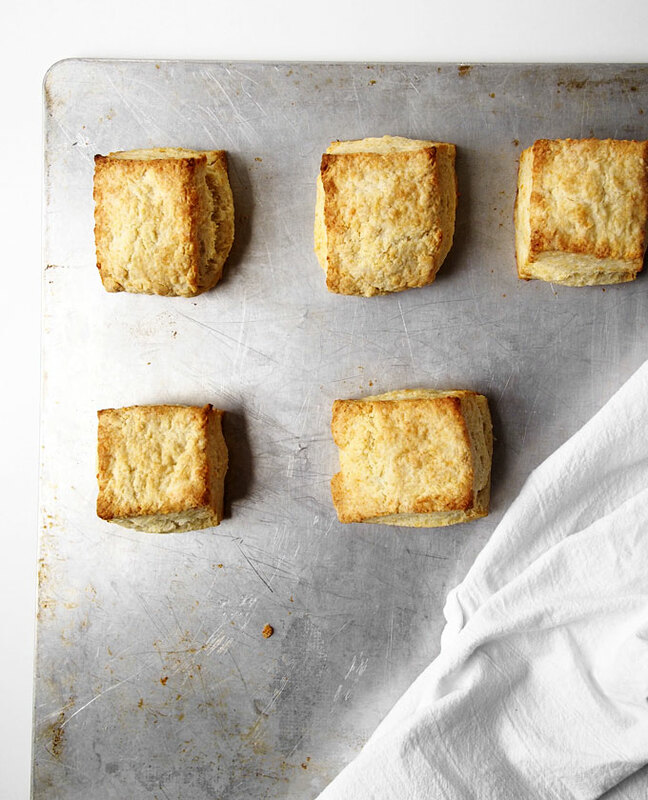 Your biscuits are pure perfection! I love a good, flaky cheddar biscuit and yours are making me feel like I need to run and buy some buttermilk STAT! Please tell me these are the biscuits you brought to Bend. I still am dreaming of them. They sure are!! I’m eating one RIGHT NOW!